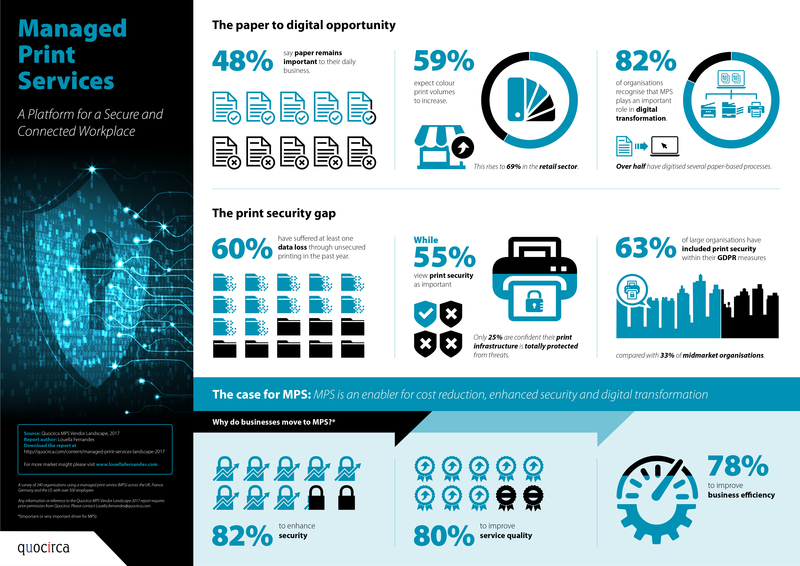 Quocirca surveyed 240 organisations the UK, France, Germany and the US to understand how MPS is helping them address their business challenges. The findings contained in this infographic reveal the continued reliance on paper and how MPS is an enabling platform for enhanced security and business efficiency. Read the Executive Summary Report for more information. MPS is only a looking glass into the real opportunity to drive digital to dollars productivity. Our research complements this story, however we predict a different future for MPS.